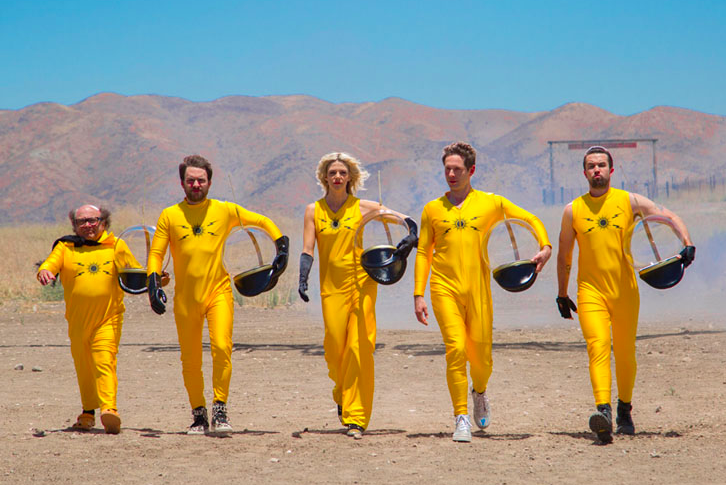 We are living in the barren wasteland of an "It's Always Sunny in Philadelphia" desert, with no promise of future episodes for months on end, if you want to call it living. Season 13 won't start filming until the springtime and we don't even know definitively yet if Dennis is coming back. Whenever FXX finally puts out a 30-second trailer that tells us almost nothing about what's to come, it will be a great day for America and the world. In the meantime, we turn to Kent State University pitcher Eli Krauss. Like any good college kid, the senior ace for the Golden Flashes approached his player biography with but the minimum required level of seriousness. Check out some of the details listed under Krauss' "personal" section. Eli Krauss Kent State University bio. Well, thanks to Krauss, we now have footage of a bewildered Kent State announcer struggling like hell to make sense of how strange the pitcher's bio comes across to the uninitiated. Fans of "It's Always Sunny in Philadelphia" should find nothing amiss about this at all. The magnets and ghouls are a direct reference to the Season Five episode "The Waitress is Getting Married," in which Dennis and Mac try to set Charlie up with a dating profile. That all may have gone over the head of the announcer, but Kaitlin Olsen was quick to give the tribute her stamp of approval. I filled it out it out like two years ago, I think I was in my sophomore year, and I was sitting at a restaurant with a buddy of mine, not a baseball player, just a friend of mine. And there was a fifth-year senior on the team, I actually got him into Sunny and he just loved it. I had this idea, so I wrote all that down and texted our SID, ‘Hey, is it okay if I put this in my bio? I’ve just sent this to you, I’m just trying to make somebody laugh.’ She said ‘Who is it?’ and I told her who it was. I was planning on changing it back, I think, I just wanted the fifth-year on our team to see it. So I did it, and she told me when it was done, and he went and looked at it and was cracking up. So this was literally just to make somebody laugh. It took him a little while, but he's clearly outdone his own ambition. Charlie Day just put my video on his Instagram. I have begun to peak and everyone’s feeling it (Sunny reference).